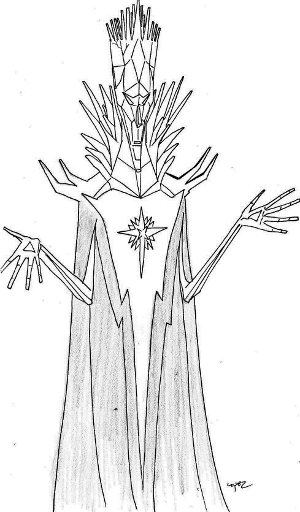 A member of the Council of Others, as well as the leader of his race, the Crystalin. Inspired by the beings at the end of the Henson film The Dark Crystal. Shouldn’t say more than that, for those who haven’t seen the film.